Today’s sewers have an enormous variety of fashion and dress fabrics to choose from when it comes to making prom dresses. So, how do you know which to choose? First, think about what style of dress you want. Consider whether you want a ball gown to the floor or something tea length or a mini skirt. Do you like strapless or strapless with a bolero or off the shoulder or spaghetti straps? There are no right and wrong answers here; it’s all about personal style and what will make you feel beautiful on your special night. Remember that A-line styles (princess styles) look great on all figures. Once you have chosen the style of dress, look for an appropriate sewing pattern. If you are not certain what style you want, pattern catalogs will give you many ideas. Commercial sewing patterns tell you exactly which fabrics are suitable for each style. This information is found on the back of the pattern envelope. Usually more than one type of fabric is appropriate. Different fabrics are often combined in one garment. 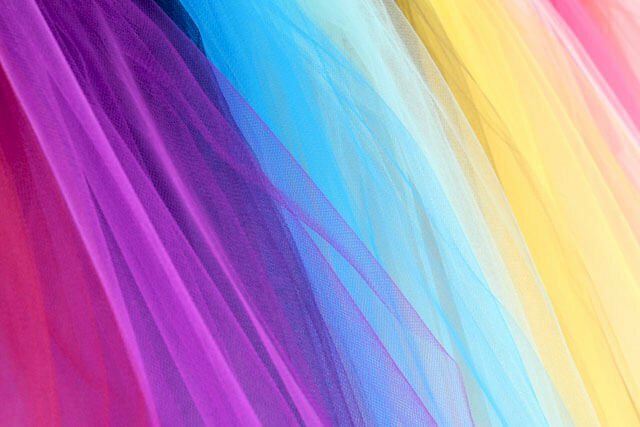 For example, satin, silk, or lamé fabrics make beautiful bodices combined with a tulle overskirt. Look for fabrics with stretch for a dresses with a great fit that with keep you dancing. Satin, charmeuse, and taffeta are classic choices for dresses with silky shine. A luxurious, elegant look can be achieved by using several layers of tulle. 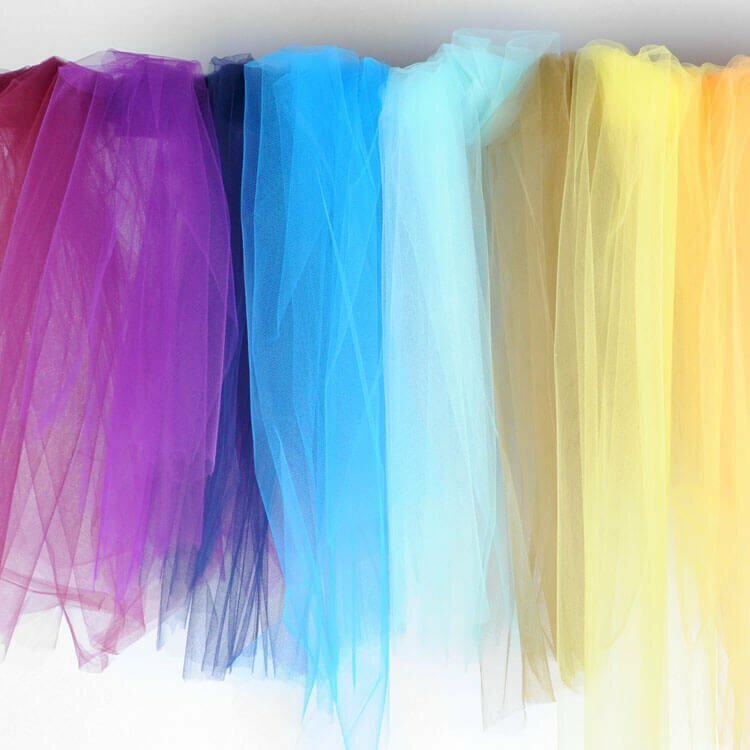 Tulle is available in virtually any shade you desire. It also comes in a glitter variety. 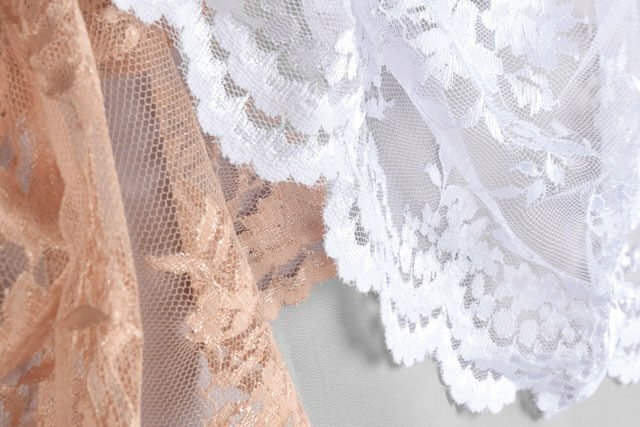 Lace is another beautiful option for the over layer of a bodice or skirt. Interesting, out-of-the ordinary lace patterns can make great wraps, boleros, or shrugs to highlight a solid color dress. Lamé is an excellent choice for many shorter styles of prom dresses. This exciting fabric is available in several colors and varieties. 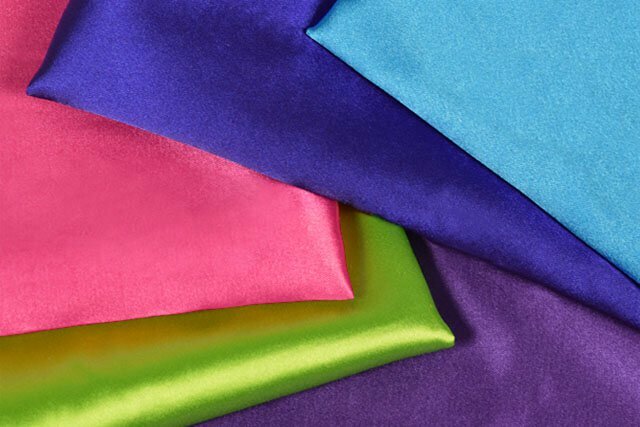 Satin lamé is great if you want a fabric with slightly less sheen. Chiffon is a great option for flowy layers with a lovely drape. Organza is another popular sheer fabric that has more body and volume. Choose from a number of styles, including embroidered. 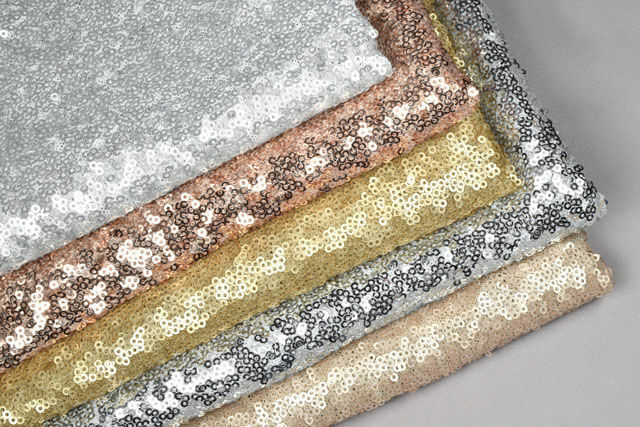 If you’re looking for glitz and glamour, sequins and eyelash fabrics are an eye-catching choice. 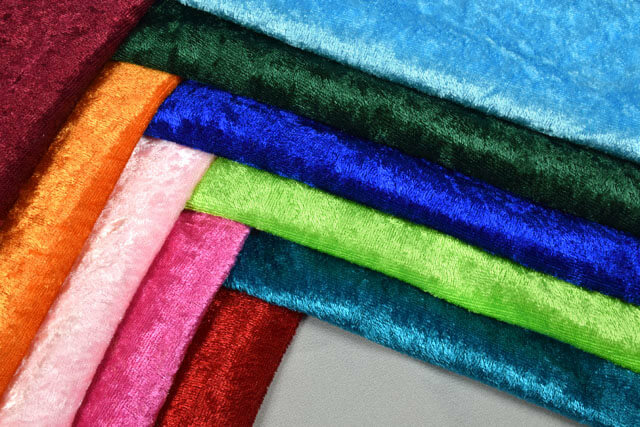 Finally, velvet comes in a variety of styles and can create a luxurious look. 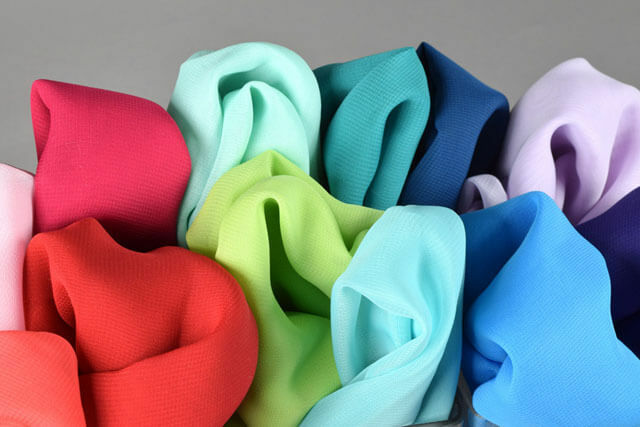 Whatever your style, you can achieve it with these fantastic prom fabrics. Check out fashion and dress fabric to find the perfect material for your prom dress.